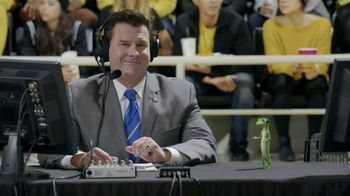 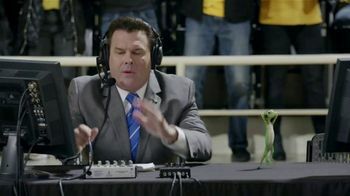 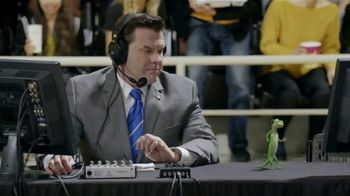 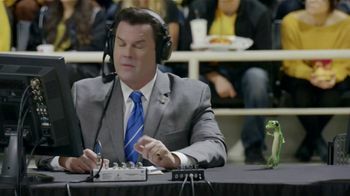 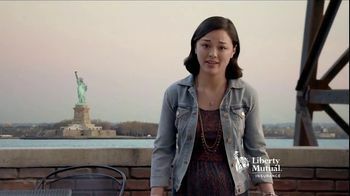 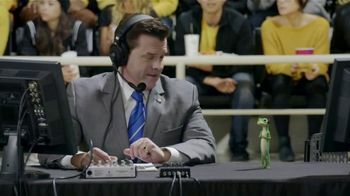 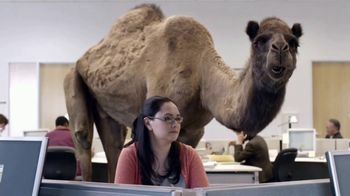 At the scorer's table, the play-by-play announcer checks in on the GEICO Gecko's during his first NCAA tournament. 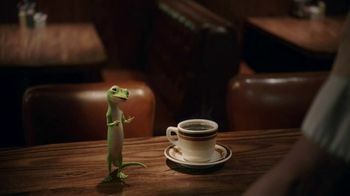 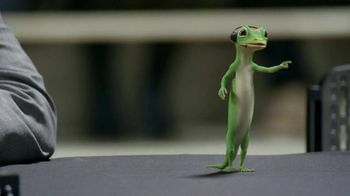 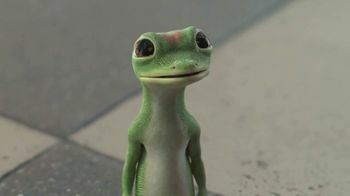 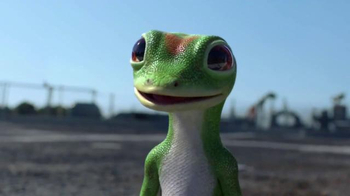 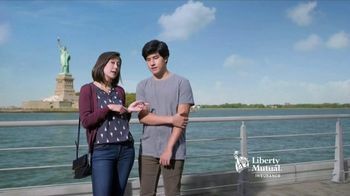 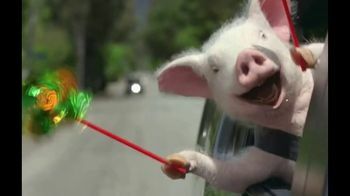 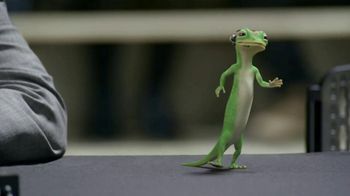 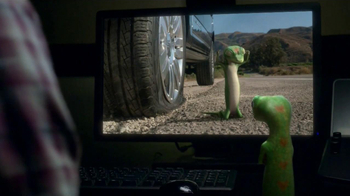 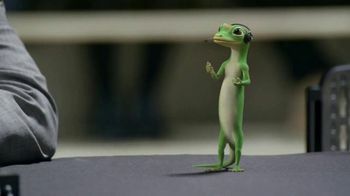 As the gecko says he's there to let people know they can save money on their car insurance, he gets caught up in the action. 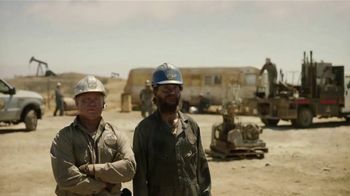 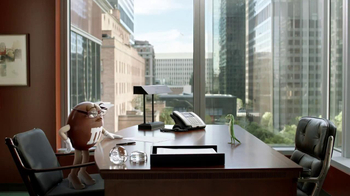 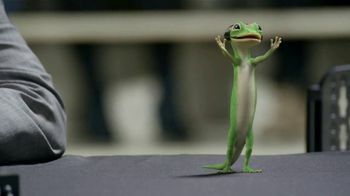 The lizard, acting as a coach, begins to tell players to set picks and shoot the 3-pointer. 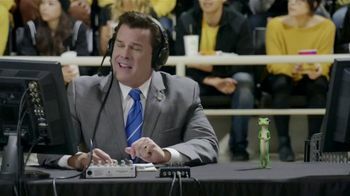 The action gets so intense, he ends up pulling a hamstring from jumping.